Well, tonight we started our first ever duo-camp! We are running two camps at once this week. Expedition (7th-8th grade), and Quest (5th-6th). I’m working the Expedition camp and also being a staff counselor (living in the cabins with the campers) this week. It’s a camp tradition that every night after campfire we close with candle time, a time to be with each other as brothers, share a little about the day and encourage each other to grow. In the past we have actually used candles during candle time, normally though due to a problem a few years back we don’t though some staff like myself, do like to pull out a candle every once in a while if a group is doing well. Our second question we prompted them with was if there was anything they were nervous or worried about for camp this week. One boy shared of how he worried for his grandmother, recently diagnosed with cancer. Still, another worried about his parents celebrating their 20th anniversary and hoping that they had as much fun as was going to this week. Some worried about what their mom’s would do without them this week. Others were scared for the weather and what we would be able to do if it rained all week. As we began candle time I invited the boys to come sit around me on the floor so that they could be close to the candle. It was one of those simple inserts that we use for the Sanctuary lamp, that I had placed in a cut crystal bowl with a clear cylindrical globe. The light danced across the room and across their faces, which you could tell were filled with wonder, nervousness, and awe. 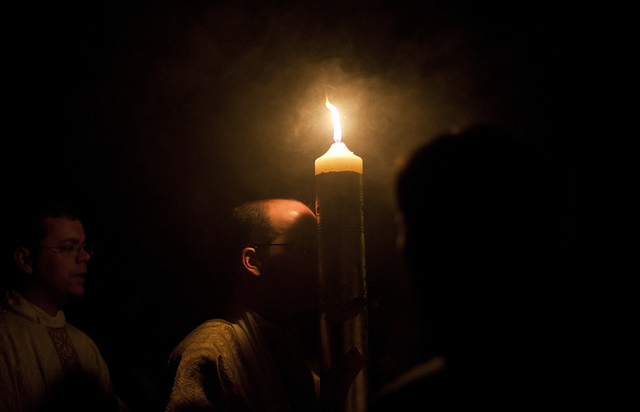 I was brought back to the glorious Vigil of Vigils; that is, the Easter Vigil, where we bring the single lighted paschal candle (a symbol of Christ, the light of the world) into the church for the first time. There in the closed space, the light dances off of the walls and stained glass, as well as the priest, congregation, and other ministers faces. It too is a moment of rejoicing for the church, as we welcome Christ, the risen savior back! 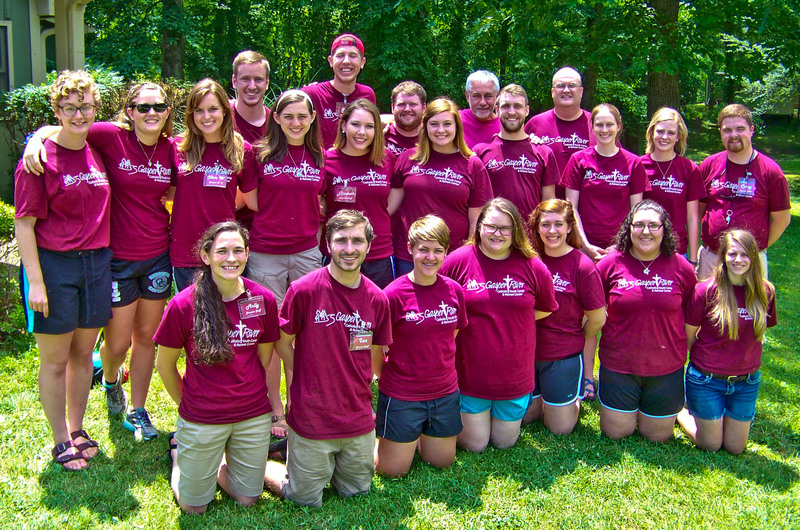 So too, like the Paschal candle being carried into the Church, we, the staff are called to bear Christ into the world, especially to these campers and everyone we encounter this summer. We are to pour ourselves out Eucharistically, give of ourselves in charity, love one another and help each other get to Heaven. I pray that we may continue to be that beacon of light in the dark for the campers, here this week and the rest of the summer. Will you join me in praying that that may be so? May we take the beauty we experience on this journey; this walk, and share it with those who so desperately need it. Forever present amidst His own. All ages under His power and rule. The sacrifice once and for all. All praise and glory in every age to come. Let us continue to walk this way of beauty to God together. Oremus pro invicem! How beautiful. Wish I were young again and attendng your camp. God bless you all.